Stade de Reims vs FC Nantes predictions for this Ligue 1 clash as the newly promoted hosts aim to keep up their challenge for European football. Nantes have hit some above average form recently but with Reims their toughest opponents in quite a while, how will they cope with the challenge? Read on for our free betting tips and match preview. David Guion’s Reims have stunned everyone by coming onto the Ligue 1 scene with a bang, soaring up to their current 5th spot despite being the newly promoted side. Their squad has quality all over the pitch and it has really shown as they are putting themselves in a great place for European contention. They have the third best defensive record in the league, one only bettered by the top two of Lille and PSG, and with them only losing twice at home all season, they should be pretty confident of finishing the campaign strongly. 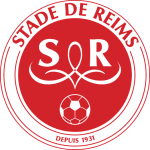 Their last two results were draws against relegation battling sides but Reims were extremely unfortunate not to win both as they had 61% of the possession against Amiens (2-2) and managed 21 more shots than Dijon (1-1). Before this they had beaten lofty opponents in Montpellier (4-2), Marseille (2-1) and Rennes (2-0) so they will be eager to get back on track here with a win. Reims should be disappointed at the quality of their defensive efforts recently though as just one clean sheet in their last six games is very substandard for them. Nantes have won five of their last eight matches but two of these were against lower-league opposition and the other three were against teams in the bottom eight. Reims will be a much more sizeable challenge but Vahid Halilhodžić will hope that his men can channel their momentum into this game. They have been very poor in getting possession of games recently as they had 41% against Toulouse (2-0), 43% against Bordeaux (1-0) and just 39% against second bottom Caen (1-0). That being said, they managed to get a whopping 25 shots on target and 24 corners in just these three games so they have managed to create chances on the break when they have been pinned back by the opposition. They have kept clean sheets in six of their last eight matches and will hope that their extended rest due to last week’s postponement will allow them to be fresh and revitalised for this game. Reims are a very good side though, and with them staring at the possibility of an unthinkable Europa League qualification, we feel that the home side have more to fight for which will bring them the win here. They have been incredible this season and with an incredible home record that has seen them recently beat Marseille are Rennes, we’re backing them to score two goals for the seventh time in eight home matches. Nantes have shown a lot more going forward recently though and with Reims’ defence looking slightly suspect in the last few weeks, we’re backing a 2-1 win for the home side. Reims are unbeaten in their last 12 games in Ligue 1 (W5 D7), the longest current run in the division. They have not done better in the top-flight since January-May 1960 (13 – W11 D2). Nantes have picked up only 31 points after 27 games in Ligue 1 this season, their lowest tally at this stage since 2013-14 (31), when they finished 13th. Reims have lost only one of their last 12 home games in Ligue 1 (W5 D6), against Toulouse in December 2018 (0-1). Nantes have won only one of their last eight away games in Ligue 1 (D2 L5), 1-0 at Caen in February. Reims have found the net in each of their last 12 games in Ligue 1 (20 goals), last failing to do so in December against Toulouse (0-1). Nantes have kept a clean sheet in three of their last four games in Ligue 1, as many as in their previous 18. Arbër Zeneli has been involved in four goals in his last four games in Ligue 1 with Reims (2 goals, 2 assists). Valentin Rongier has been involved in three of Nantes’s last four goals in Ligue 1 (1 goal, 2 assists).